We've always been called the Ryan Girls, easier than remembering all five names. We started a 8 week healthy eating diet challenge together with our Mom. So far its great - but we started Monday! We are trying all new ways to fill our bellies for the least amount of calories. 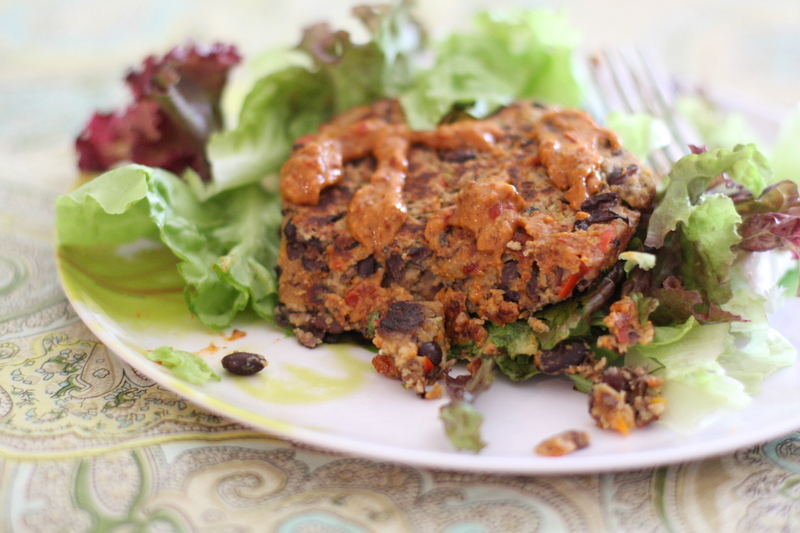 I found a great recipe from Allrecipes.com for Black Bean Veggie Burgers. I made them last night and loved them. I changed some of the recipe because I do not do well with onions, the cumin and garlic seemed way over the top, so I really cut back on those. I ate them over a bed of my garden lettuce and added a tablespoon of Chipotle mustard. Delicious. The total calorie count for this was 220! Can't beat that. Thanks for the recipe Katie, can’t wait to try it!